Thank you for staying with us during your recent visit to Penang. We are delighted to hear your appreciation of the restoration work and aesthetic of this Grand Old Dame. We are also thrilled that you experienced first-hand The Edison Experience from our all-inclusive offerings to our personalised service. We look forward to welcoming you again in the not too distant future. We thank you for your wonderful review and recommendation of us. We are thrilled to hear that you enjoyed our all-inclusive offerings and Hotel amenities. We are also delighted to hear that our personalised service and recommendations had met your expectations. We look forward to welcoming you again hopefully in the not too distant future. Thank you for staying with us during your recent visit to Penang. We are happy to note that you have rated us above average for the restoration of the building which incidentally have been widely recognized and awarded, the location of the Hotel and our personalised and much appreciated guest service. However we regret that your experience with us could have been better if not tainted by the guestroom not meeting your expectation. This, in spite of it being one of our most requested guestroom by both new and returning guests. As this was an exceptionally busy month for us due to the annual George Town Festival, this prevented us from showing you all of the other guestrooms in the category booked. Nevertheless we would like to apologise again for our guestroom design not meeting with your expectation, perhaps the quirkiness of a heritage boutique Hotel with her non conformist styling is not for all. We hope you will consider to stay with us again and perhaps this time you will be able to fully enjoy your stay experience with us since certain perceptions and expectations would have been established. Thank you for staying with us during your recent visit to Penang. We are delighted to hear that you had enjoyed your stay with us especially our personalised concierge service and all inclusive offerings. 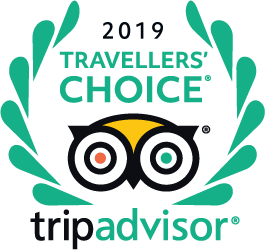 We also appreciate your recognition of our excellent value and us being a good choice of accommodation. We look forward to welcoming you again in the not too distant future. We thank you for your wonderful review and kind comments. We are delighted to hear that you had enjoyed our all-inclusive offerings especially our all day snacks and pre-dinner wine discovery. We look forward to welcoming you and your family again. flissy91 a publié une photo le 19 avr. Greetings from The Edison George Town and thank you for your enquiry. Due to the design and nature of the heritage mansion, we do not offer rollaway beds. However, we do have a set of connecting room, that will be able to accommodate 4 adults. Please contact us directly at +604 262 2990 to assist you with your booking and requirements. We look forward to hearing from you soon. Do you provide free airport pick-up? Greetings from The Edison George Town and thank you for your enquiry. We can arrange for an airport pickup. Please advise your email address to make the necessary arrangements. Thank you and we look forward to welcoming you. Hi, do your rooms have mini bars? Is it possible to have some lunch and spend a few hours at the pool when you are not staying at The Edison, or are those fatalities only for the guests? Greetings from The Edison George Town and thank you for your enquiry. We have an All Day Pass where you are entitled to use The Lounge facilities from our All Day Snacks and Non-alcoholic Beverages from 11a.m. - 9p.m. at RM 35.00 nett per person. However, our pool is exclusively for our in-house guests only. How to get there from the airport? Tx.